The Stiga Vapor Outdoor Table Tennis Table has been treated specifically to be able to withstand harsh and changing outdoor weather conditions. It has been designed to endure a lot of intensive table tennis playing that will surely benefit your whole family. The playing surface of the Stiga Vapor is made of painted aluminum plastic. This type of surface prevents the top from warping, which is a common problem with wooden tables left outdoors to withstand the elements. However, unlike ping pong tables with wooden tops, an aluminum plastic surface does not provide the same bounce as wood and has the tendency to play faster with shallower bounces. It also features a 6mm blue top painted with silk screen tournament lines. When assembled, the Stiga Vapor measures 107.87in x 60in x 29.92 in. It weighs approximately 140 pounds and can be easily assembled and installed in minutes. It is shipped 90% pre-assembled. The frame comes with a durable 1.5-inch steel apron assured to keep its shape over time. Also, it features ¾-inch ball bearing casters and sturdy steel legs with 30mm levers that can be adjusted to enhance stability and ensure a levelled playing surface. To ensure that the body is protected from rust and corrosion, the steel undercarriage is treated with specially formulated powder coating. The aluminum composite plastic table surface can also be folded easily if you prefer to practice your skills or play solo. Additionally, since the table can be folded in half, transporting it to another location through its trolley system is no hassle. Upon use, the table is prevented from collapsing with an advanced safety lock that prevents it from accidentally closing. This lock also prevents accidental opening when the table is closed. This collapsible table measures 28in x 60in x 62in when stored. Along with the features mentioned above, the package also includes a professional grade net and clamp set. Because it is 90% pre-assembled, putting the whole table together can be done in a few minutes. According to most people who reviewed this product, the Stiga Vapor Outdoor Table Tennis Table is reasonably priced and made of quality products that are sure to last awhile. According to some people who reviewed this product, the product is very susceptible to wind given its lightweight construction. 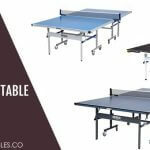 The Stiga Vapor Outdoor Table Tennis Table gives great value for your money if you are on a budget but want something sturdy, durable, and reasonably priced. It is also movable, allows easy transport and playback mode. All in all, it has the basic functions that you need in an outdoor table tennis table. True to its name, the STIGA InstaPlay Table Tennis Table is actually ready for immediate table tennis action the moment you take it out of its packaging, with assembly required. This feature comes in handy especially when you plan to move this table in and out of its storage frequently. The idea behind this feature is to allow the user to play instantly the moment it is taken out of the box. 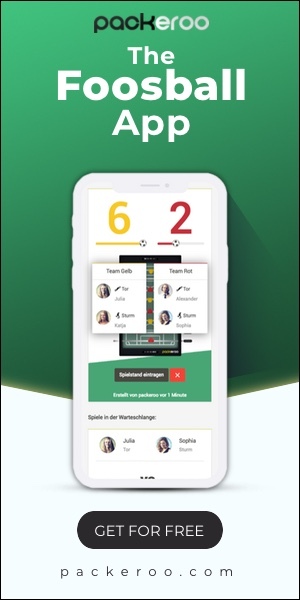 Compared to most table tennis tables for which assembly time takes around 30 minutes to 1 hour, the InstaPlay feature only consumes around 10 minutes of your time, since the table is shipped fully assembled and ready to use. STIGA opted to paint the table tennis surface black, contrary to the usual blue or green. The top is made of ¾-inch-thick pressed board with binding on the edges that gives the table more durability and strength. Another important thing that the table offers is consistent and optimum bounce for a more professional feel. Once setup, the table measures 9ft x 5ft x 30inches. The table is quite heavy at 230 pounds, including features such as a steel support apron, a solid wooden top, and steel legs that greatly add to its weight. 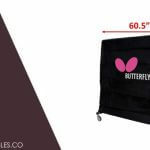 The support apron is 2-inches thick and made of solid steel components that further add to its strength and durability. The table is supported by 2-inch-thick square legs also made of steel. Although the table is rather heavy, the STIGA InstaPlay is quite easy to move around because of how the tables are designed. The table can be folded in two halves and wheeled away. Moving the whole table is made easier with the help of four moveable wheels on each side with 3-inch ball bearing casters. What is nice about these wheels is that they can be locked. This is also an important feature to consider, since there’s always a possibility that the table can be moved during intense gameplay. Since the table can be folded in half, you can also use it for playback mode when you prefer to practice your skills or play solo. Other notable features include corner pads to protect you from getting snagged by pointed corners, as well as a 66-inch net. The no-assembly required feature gives you more time to play. The table can be used indoors as well as outdoors although weather conditions should be considered first before using outdoors. Corner pads are good safety precautions especially if you have children around the house. Aside from being foldable, the tables can be divided into two free-standing tables that you can use during parties and other gatherings. The legs on the sides are located quite close to the edge, which can cause you to accidentally bump into the legs while playing. According to some people who reviewed this product, there is some warping in some areas of the table when continuously exposed to environments with high levels of humidity. The table is not ITTF approved. The STIGA InstaPlay’s body and frame are made of steel, making it more durable than the other two tables. However, it does weigh much more compared to the other two, but if you’re likely to leave the table open and won’t be moving it around, the STIGA InstaPlay offers more value for your money in the long run. Plus, you don’t have to spend time assembling the whole thing! For a mid-range, recreational table tennis table, the STIGA InstaPlay is a great table to invest in. 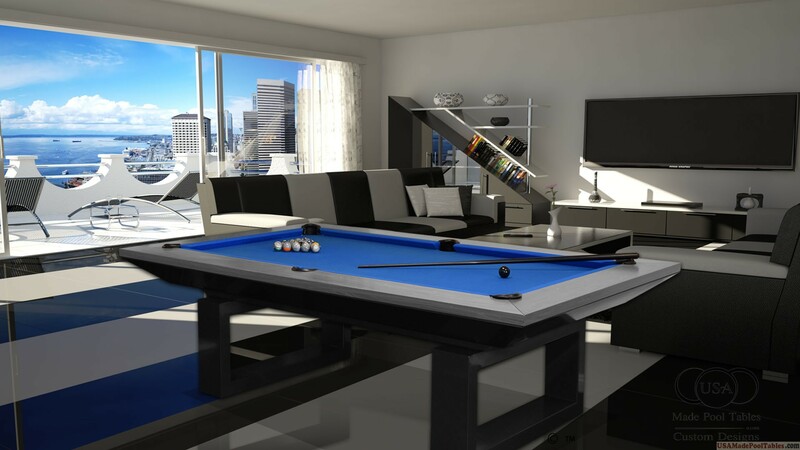 Its black surface is elegant and will fit perfectly in office game rooms, and even in your home. No assembly is required, which is a plus if you don’t like waiting and are not fond of assembling equipment.